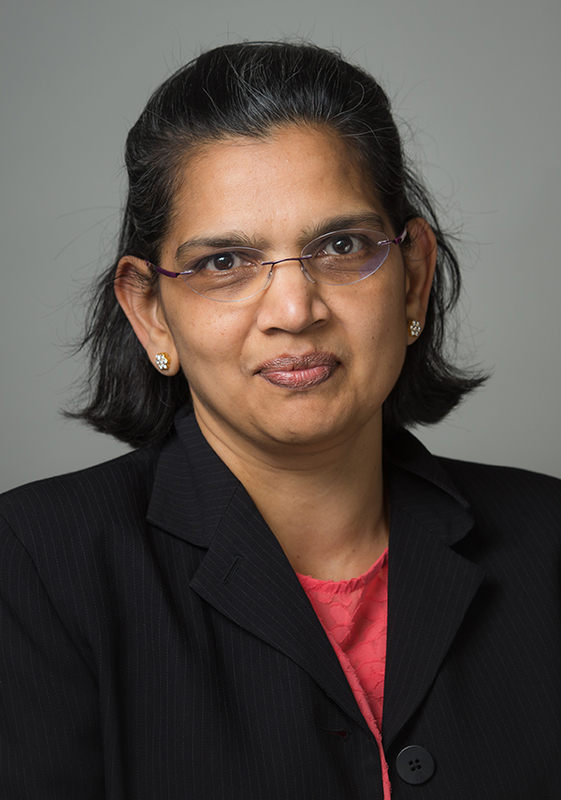 Dr. Shobana Murali is a board certified ophthalmologist and a partner at Eye Care Associates. She specializes in comprehensive ophthalmology including cataract, glaucoma, refractive surgery, medical eye examinations, retina, and pediatric ophthalmology. Dr. Murali is trained and certified in both LASIK and PRK to correct refractive errors. She is the recipient of five prestigious Hope Awards from the renowned Phillips Eye Institute where she performs many of her surgeries. Dr. Murali also performs surgeries at Fairview Southdale Hospital. A graduate of the ophthalmology residency program at the University of Minnesota, Dr. Murali earned awards from the Sight and Hearing Association and for the best resident research. She is an Assistant Professor at the University of Minnesota, teaching residents at the VA Medical center in Minneapolis and is also a member of the American Academy of Ophthalmology. Dr. Murali sees patients at our Northeast Minneapolis location at the Silver Lake Plaza Medical Building in Northeast Minneapolis at 4001 Stinson Boulevard NE, Suite 100, Minneapolis, MN 55421 (612-788-1621).